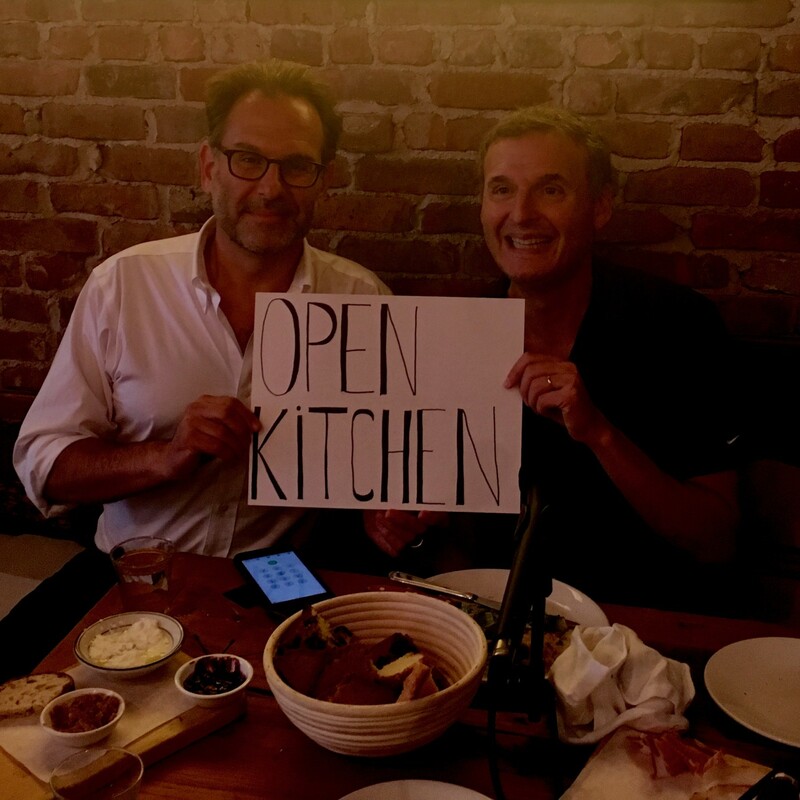 A first for the podcast: Andrew welcomes television’s Phil Rosenthal, host of the Netflix series Somebody Feed Phil, as our inaugural Open Kitchen (i.e., non-chef) guest. As listeners surely know, Phil–who created the legendary CBS sitcom Everybody Loves Raymond–has a passion for food and travel, which he explores on his series. He’s also an investor in roughly 25 restaurants, and an unabashed admirer of chefs and cooks. Over espressos at New York City’s Il Buco Alimentari e Vineria, Andrew and Phil discuss the creative process, the allure of travel, and myriad other subjects.During the interview, Il Buco’s chef Garrison Price emerges from the kitchen with an Italian breakfast, and a spontaneous, audio variation of Somebody Feed Phil breaks out. Enjoy the first of what will be a periodic offering on the show!